How many parents assume that their baby will hate Tummy Time? How many babies don't get enough Tummy Time because their well-intentioned parents gave up after a few rough sessions - assuming that their baby was a "Tummy Time hater?" 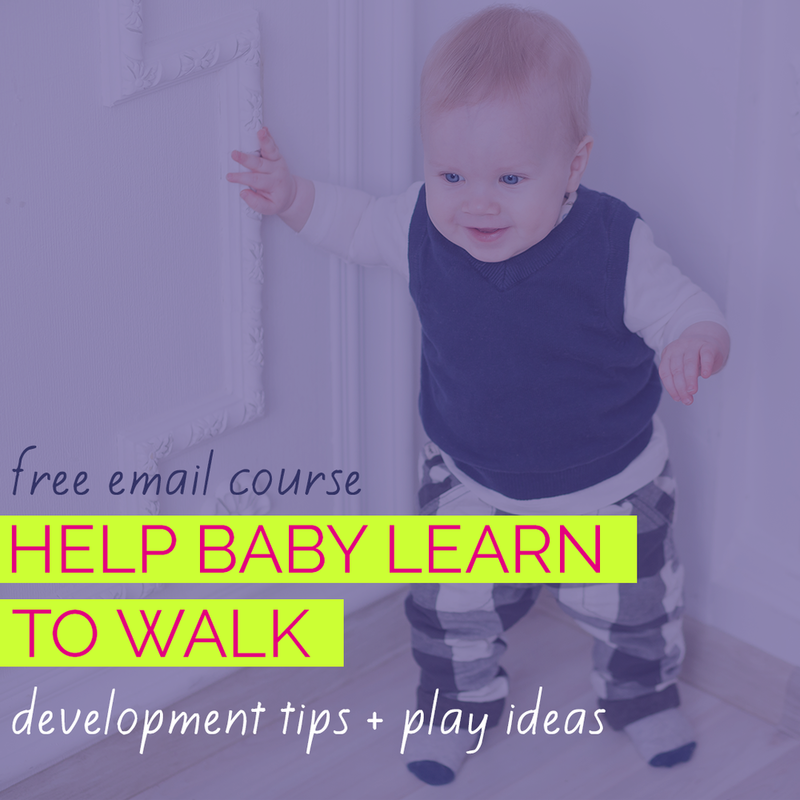 How many parents actually receive the support, encouragement and information they need to have happy Tummy Times with their babies? Our parents' and grandparents' generations didn't even have the word "Tummy Time" in their vernacular, yet somehow babies were getting much more of it. So why is it that now that we recognize all the developmental and health benefits of Tummy Time and we're explicitly told by pediatricians to do it, we find it harder to make time for and harder for our babies to tolerate? It's easy to think of Tummy Time as something separate from our baby's regular old daily routine. Something to be added. One more thing in the long list of things we "should do" with our baby. Groan - just what all new parents need - one.more.thing. 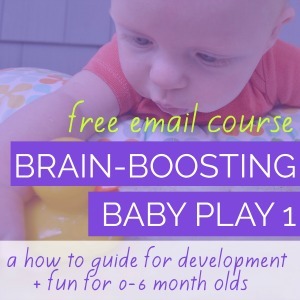 If you've read my book, Begin With A Blanket: Creative Play for Infants, you know that I think making Tummy Time playful and fun through simple, creative learning activities is a great way to increase your baby's belly-down time. But there are other ways to also increase your baby's Tummy Time. If we also did Tummy Time the way our grandmothers did - seeing it as practical and routine without making it a big deal - how much more belly-down time would our babies get? Would we see it more like the generations of parents before us who didn't seem to struggle so much with it? Would our babies tolerate it better? Particularly when we're tired and busy, we have a tendency to fall into habits without even realizing them. So, when's a time in your life when you feel most tired and busy? Oh, right, when you welcome a tiny new human into your home who's only language is crying and only talent is pooping! Among many other habits we quickly fall into as new parents, we all fall into habitual ways of holding and carrying our babies. In my upcoming book about Flat Head Syndrome, I can't wait to share with you how these habits add up to contribute to the growing epidemic of head flattening in babies. But for now, let's focus on the fact that carrying your baby belly-down is an awesome way to provide many of the benefits of Tummy Time to your little one in short spurts throughout your day. Baby Steps: Starting today, set a goal to carry your baby belly-down at least twice a day. Imagine your grandmother sitting on her porch swing snapping her way through a bowl of sugar peas fresh from her garden. Okay, maybe that's just my Southern grandmother. But whoever your grandmother was and whatever she did while sitting down, imagine a baby belly-down across her lap. Maybe she's humming or singing, rocking or swinging, but she's getting things done - folding laundry, making a phone call, or hemming pants - all while baby has Tummy Time. Baby Steps: Starting today, find one quick task you could do while seated with baby belly-down on your lap. Read a book, check Facebook, fold a load of adorable tiny baby clothes. For most new moms, their very first interaction with their new little one is chest to chest. The closeness of having your baby right there, on your heart, is a sensation that is hard to describe. Seeing Tummy Time as a way to connect and cuddle with your little one can take some of the pressure off of it - and improve your little one's tolerance. Baby Steps: Choose one moment today when you find yourself looking at your baby's bright eyes and thinking how he or she is the most adorable thing on the planet. Take that moment to scoop your little one up, find a comfy spot to lay back and have some heart to heart Tummy Time. Add an extra 10-20 minutes of Tummy Time today! Turns out Grandma might have known a thing or two about Tummy Time, even though she'd never heard of it! 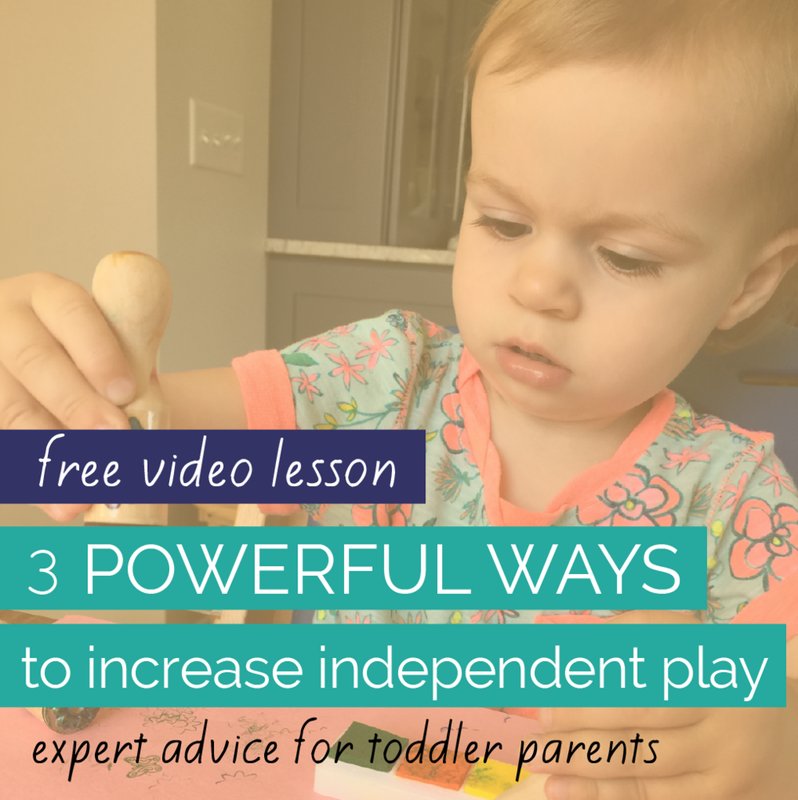 By simply taking these 3 baby steps starting today, you can add 10-20 minutes of Tummy Time to your little one's routines. I'd love to hear how these simple changes are impacting your baby's Tummy Time. Share in the comments below what's working for your family! Looking for more Tummy Time tips and activities from a pediatric Occupational Therapist and fellow mommy? Visit the Tummy Time Help Page!